Today marks four years since the revelation that “for all intents and purposes” my life is approximately half over. It’s also my 42nd birthday and as my brilliant cousin pointed out to me a few weeks ago after viewing one of the http://shirt.woot.com/ items for sale that day, this is the year that I would be the same age as the answer to the question of life, the universe and everything. Back to this “half-over” business though, there’s no intention in it to be morbid and there’s certainly no science in its half-ness as I could be dead tomorrow, today, or sixty years from today. It’s lack of morbidity is based in the freedom that living a Being-Towards-Death existence allows for…once you get crystal clear that soon your day will come you can really begin to live each day from the amazing opportunity that it is. The lack of science is much more obvious, but is worth briefly telling the story of how I came to its conclusion. Thirty-eight was a turning point year in my existence. My father was seventy-six years old that year, which made me exactly half his age. At some point during that year it was really the last time he was with it, or with us, fully at least. He’s still alive physically but it’s difficult to know how much he’s with us mentally. He doesn’t speak anymore. It was the year that I was able to transcend speaking and really just be with him the way every Son should be allowed to be with his Father at some point in their lives (as I talk about in my Positive Outcomes paper). My father’s sudden and rapid slip into dementia brought out many realizations for me (in a life very full of assessments and realizations). The most impactful of these realizations was the acceptance that my life was half over. That if there was anything I really wanted to get done in life, I’d better get to it. I’d had a good run up until that point and already had a very full and fulfilling life. This was thanks in no small part to my parents, my siblings, my brother-in-law, my aunt, the guys, my wife, my kids and obviously all the other countless people who’d impacted me. If you’re reading this it probably includes you. So this post is really a “What have I done since that realization and what am I pedal to the metal working on?” assessment. After all, I’m already four years into the second half of my life. Just for record keeping purposes I want to say a little bit about where I was at that point, what I was committed to, and what results I had that were worthy of score keeping. “You’ve committed yourself to a really big game,” one of my coaches said to me at the time. “You should expect it to be challenging”, she said. It was. Even beyond what I thought. I thought it would be neatly packaged, simple really. You say something, and honor your word, and the results show up. It had worked before in the relationship game, the career game, the life of my dreams game. However, I spent a lot of time looking at the scoreboard in those days rather than playing the big game. I looked to what people told me about what was happening rather than trusting in who I am, knowing that the score only matters at the final buzzer. The first shift came out of a really simple yet wise conversation about age in general, and the way I held myself – or said more accurately the age of the conversation I was having. I was having child like conversation. I was the youngest. The youngest always gets their way and I didn’t like it when I didn’t so I would quit playing. I wasn’t getting my way. I’d hit a wall where the old way of playing wasn’t working anymore. Everything I’d relied upon before wasn’t working, even my transformed view of the world. The big shift came when I realized half my life was over…my search intensified. I got very serious about finding out what my transformation really meant. I started searching for the source of it so that I could become my own source of it. I always wondered, but never asked until then. How did he keep it up day after day and be the source of the transformation for millions of people. Asking a new question shifted everything. It always does. In fact, just asking a question at all shifts the whole playing field. I stopped being an answer, having an answer and started inquiring. What could I find out that would allow me to stop playing within somebody else’s experience of the world to begin to be the source of my own. I’d only ever known one person that had done it and what do you know he’d just resurfaced to offer a course. Meeting your idol, or hero, or the most impressive person you’ve ever heard of or been impacted by is something that every person should have the joy of in their lives. Having them live up to everything you’ve heard, expected and more is even better. Sitting on a rock smoking. That’s how I fully experienced who I am. He was just sitting on a rock smoking. If you’ve read Zen stories you know of some odd moments when the student is enlightened. Sitting on a rock smoking was how it went down for me. I watched him smoke. Not something I would have ever thought a transcendent human being would do. I was awestruck though by his power as he smoked, and sat, and talked with the few of us there with him, I saw that he was just himself. Not anything more and not anything less. Then I saw who I am. Being who I am now is all there is to do. So this moment, and the subsequent conversation with the man from China where I had the opportunity to practice being who I am, gave me a break in my experience of the world. I know that as a reader most of what I’m saying here is not clear to you. It’s better talked through. But I include it here as a record of what shifted in knowing that my life was half over and the subsequent seeking. Not the usual kind of seeking. It was different than the seeking we normally do. This was a seeking for Aletheia, from Aletheia. A questioning from truth. From the space where who we are is calling. Who we’ve always been and who it’s demanded that we be. The days of suffering were over for me. When I returned from New York on that trip new opportunities were there. Somehow, since then, and from that day I now own three laundromats – of all things. It was not what I would have ever expected in my wildest dreams. Also, I found that a group of people, including the Mayor, were already transforming Cleveland+. I couldn’t believe it. I came home and found a document about a green city on a blue lake declared in the future from the year 2020. Never had I heard such language outside of my normal circles. In this document I found another person who’d “created a new way of being in the world” outside of the normal rules of society that seem to constrain us all. He wrote of amazing things such as “repatterning our relationship to reality itself.” Since then I’ve heard amazing stories of people who live here who are doing exactly what I envisioned could be done when I invented my game – giving up what we had been and envisioning/creating who we are in the future. I haven’t even had to lift a finger yet there is much still that will be done. Being blown away by these amazing voices I’d found I looked deeper into them. Right here in my backyard was the most amazing and transformative program I ever could have imagined. I went to an orientation and put the stake in the ground that I would enter the Master’s program in that fall of 2010. I’ve recently graduated. In that program, I’d also created a long range learning plan which included provision for frequent travel and the possibility of another baby and my wife’s completion of her degree. The baby’s on the way, the travel has been happening at a rate of about 3 adventures per year (4 is the commitment, so we still have some adjustment to make here) including some trips that I just couldn’t have imagined would ever happen way back in 2007. What’s the point? There isn’t one. It’s my birthday and I’m reminded that my life is more than half over. My wife and kids got me some CDs from an Englishman living in France who I heard on the radio while driving to get groceries on our recent trip to St. Martin. One of his songs is right up my alley. He says simply, “Coz we all kick the bucket in the end, the end.” Look his songs up on youtube and listen to them to celebrate my birthday. Thanks for being in my life and thanks for your listening. In my last post I made the proposition that we’re all englightened, that we just forgot about it or something happened to cloud over it, conceal it. Consider little babies, they’re so cute and wonderful and even the most hardened people start cooing and googoo gagaing all over the place when they’re holding a little baby. They’re like little Buddha’s, making us all bigger and better people than we normally know ourselves to be. I used to be that cute and that much of an opening, calling out for only the best another human being could give me. You did too. The truth/love/aletheia about it just may be that we still are. Consider this scene. Remove all the people and fast forward a few years. I was eight years old-ish. Right there in front of Peaches Records and Tapes. I was walking toward that spot where the mob is, down one of the aisles of cars with my brother who is about 8 years older than I am. I’d just come off a rough patch of run-ins with bums as I called them…thugs that liked to beat up or just otherwise mess with little kids for no apparent reason. They were just kids like me though. I still thought you could count on grown-ups. Dark green. That was the color of the big boat of a car he was driving. 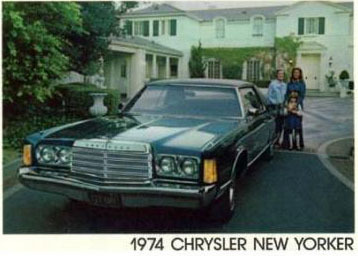 It was a Chrysler New Yorker, or an Imperial, or a Plymouth Fury. Rusted already though it couldn’t have been more than a few years old. He was probably mid-20’s, mid-length curly hair, mustache, jeans jacket, a little rough around the edges but not evil looking or anything. I watched him the whole way from where he started coming through the stop sign at the end of the strip plaza, just waiting for the traffic to pass so we could cross. But, I guess I was looking right at him the whole time…or I wasn’t. I must have been a threat to him (I can reason now), or maybe I was too happy (for him) because I was going to Peaches with my older brother…again, a threat. Then he was right in front of us. Window height even with my head as he rolled by and me still looking at him. Alive. Experiencing. Being. Not afraid…just loving. Enlightened. “What are you looking at?” It was all he said. Taken back. Confused. Threat response. Is this guy a bum? Is he going to get out of the car and beat me up? I looked away. I looked down. I looked at my brother. He was no more eager to get in a fight than I was to get beat up. Aware of the source of my un-enlightenment now. This being the last event. The one that closed the door and had me really forget anything about the non-sense I knew when I was three…that all there is is love. All around us, part of us, us. Our source and our being and who we’ve always been. Who he was. This guy I’ll never meet. We develop these ways of being to compensate, to protect ourselves from these threats. But we forget about it. Forget that we created them and we’re left unsatisfied, concerned, restless…looking for something that we already have, something that we are. Truth. Love. Unconcealed. Aletheia. I love you. Even if you’re the guy in the Dark Green Chrysler. You’ll know it, and experience it when I’m allowing myself to be vulnerable by looking at you, seeing you ala Avatar, being with you. Afraid that you’ll punch me if I see something that you don’t want me to see, but willing to risk and love you anyway.